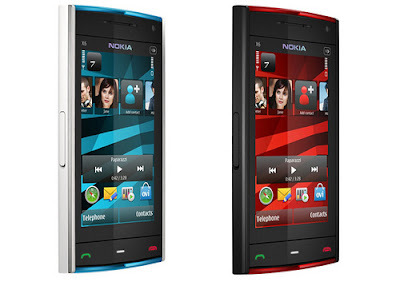 Nokia X6, the Tri-band 3G with HSDPA supported and most awaited smartphone had been launched in India last year. As hoped, the mobile bags surprising features and attractive body design. This Quad-band GSM network supported device and accepts Wi-Fi 802.11 b/g, UPnP connectivity. The company has not announced price for the mobile yet but it is speculated to have price range of Rs. 23000 to 28000 in India. Nokia X6 is featured with ultimate options and specifications and the mobile has 32GB mega internal memory so there is no need of external microSD card. So the user can store a lot of songs and data in it. All the music features also available in it that provides great music format. The new arrival Nokia X6 has very attractive and sleek body design while a 5 mega pixel camera with dual-LED low lights make it smart in the segment. A powerful batted also corporated in that provides up to 420 hours of standby time and up to 8.5 hour of talk time. Nokia X6 is a QWERTY keypad mobile that has 3.2 inches, 16M-colour, TFT LCD 16:9 capacitive display screen with resolution of 360 x 640 pixels. 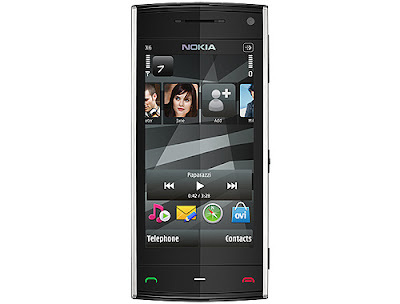 The mobile provides fast services because it runs of Symbian S60 5th Edition operating system. So all the new Nokia X6 is perfect in itself.